Stephen Taylor is a Senior Lecturer in Human Resource Management at the University of Exeter Business School. He previously held lecturing posts at Manchester Business School and at the Manchester Metropolitan University Business School. Before his academic career he worked in a variety of management roles in the hotel industry and in the NHS. Stephen is a Chief Examiner for the Chartered Institute of Personnel and Development, having responsibility for professional examinations in Employment Law, the Strategic Business Context and Leading, Managing and Developing People. He teaches employment law, employee resourcing, employee relations, international HRM and the business context at postgraduate and undergraduate level. Research interests include employee retention, occupational pensions and regulatory issues. 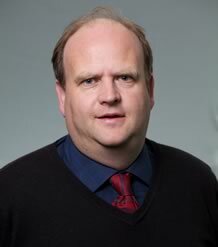 He is the author / co-author of several books including five editions of 'People Resourcing / 'Resourcing & Talent Management', three editions of 'Employment Law: An Introduction' (with Astra Emir), 'The Employee Retention Handbook' and six editions of 'Human Resource Management' (with Derek Torrington, Laura Hall and Carol Atkinson). A new book by Stephen entitled 'Contemporary Issues in Human Resource Management' has recently been published. He regularly represents parties in employment tribunals and speaks at business events in the UK and Europe. Taylor S, Emir A (2015). Employment Law: an Introduction. USA, Oxford University Press. Torrington, D, Hall, L, Taylor, S, Atkinson, C (2014). Human Resource Management. London, UK, FT/Prentice Hall. Taylor, Stephen (2014). Resourcing and Talent Management. London, UK, CIPD Publishing. Taylor S, Woodhams C (2012). Managing People and Organisations. Taylor S (2011). Contemporary Issues in Human Resource Management. London, UK, CIPD Publishing. Torrington D, Hall, Laura, Taylor, Stephen, Atkinson, Carol (2008). Fundamentals of Human Resource Management. London, UK, FT/Prentice Hall. Taylor S (2005). People resourcing. London, UK, CIPD Publishing. Taylor S (2002). The Employee Retention Handbook. London, UK, CIPD Publishing. Taylor S (2000). Occupational pensions and employee retention: debate and evidence. Employee Relations, 22(3). Carroll M, Earnshaw J, Marchington M, Taylor S (1999). Recruitment Practices in Small Firms. Employee Relations, 21(3). Taylor S, Earnshaw J (1995). An Exploration of Employer Objectives in the Provision of Occupational Pension Schemes in the 1990s. Employee Relations, 17(2). Taylor S (2016). Compensation policy and employee retention. In Saridakis G, Cooper C (Eds.) The Research Handbook on Employee Retention, Cheltenham: Edward Elgar Publishing. Taylor S (2014). Achieving a better work-life balance. In Wetherly P, Otter D (Eds.) The Business Environment, Oxford University Press. Taylor S (2014). Recruitment and selection. In Rees G, Smith P (Eds.) Human Resource Management: an International Perspective, London: Sage. Taylor S (2012). McDonalds UK: improving recruitment and retention by enhancing corporate reputation. In Wilkinson A, Dundon T (Eds.) Case Studies in Global Management: Strategy, Innovation and People Management, Australia: Tilde University Press.